Termites are considered a potential threat to the existence of any structure that can be found in a home. 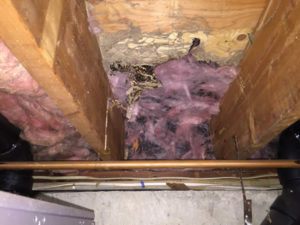 They mostly feed on wood, and that means that they can do a lot of damage to the roofing system, furniture, and many other wood-based items that may be present in a home. Besides, some termites may create tunnels in house’ structural foundation, and their slow but steady action may gradually weaken a house if the termites are many and their presence is not identified accordingly. Houses invaded by termites are unlivable, and that is a situation we would want to avoid. Homeowners should give utmost priority to guarantee that termite damage is brought at its minimum, and this aspect can ensure that a premise gets to maintain its aesthetic worth. Termites are often identified after they have done significant damage to wooden structures and housing foundations and this happens because their activities are mostly hidden from human view. The best way termite infestation can be identified at the right is if routine house inspections are regularly done. It is considered better if pest control professionals are called to address the inspections by ensuring that they spray pesticides that keep the termites from attacking a house. Termites are capable of residing in concrete spaces, floors, ceilings, and cabinets that may be present within a premise. That means that any inspection to determine the presence of termites shouldn’t solely focus on wooden structures, and following that approach can significantly save a premise from deterioration. Termites damage wooden structures from the interior, and you cannot notice this effect until the damage may be full-blown. On structures such as ceilings, termite damage may share many similarities with water damage. 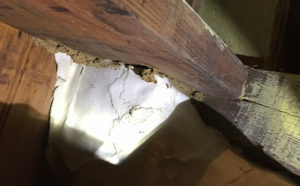 Signs such as wood buckling, blackish discolorations, and minute holes eating their way into walls or furniture may give a strong indication that termites may be slowly but steadily invading a premise. The presence of termites can also be likened to a scent similar to mold or mildew, and this mostly applies to wood. Besides those signs, the presence of small to medium sized tunnels that have mud on their openings may show a strong indication of the presence of termite damage activity. Termite damage is estimated to cost American homeowners about $5 billion annually in damage to structures and crops. Repairing home structures that have been damaged by termites may force a homeowner to cough out a cool $3000 just to repair the damages. You shouldn’t wait for termites to damage your property and later resort to the costly repair procedures. 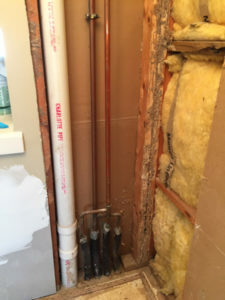 Instead, you can invest on how termites can be controlled from entering your premise, and this approach surely cost less than waiting to do repairs. You can hire pest control professionals, and their work will involve spraying your compound and premise with pesticides that inhibit termite presence.